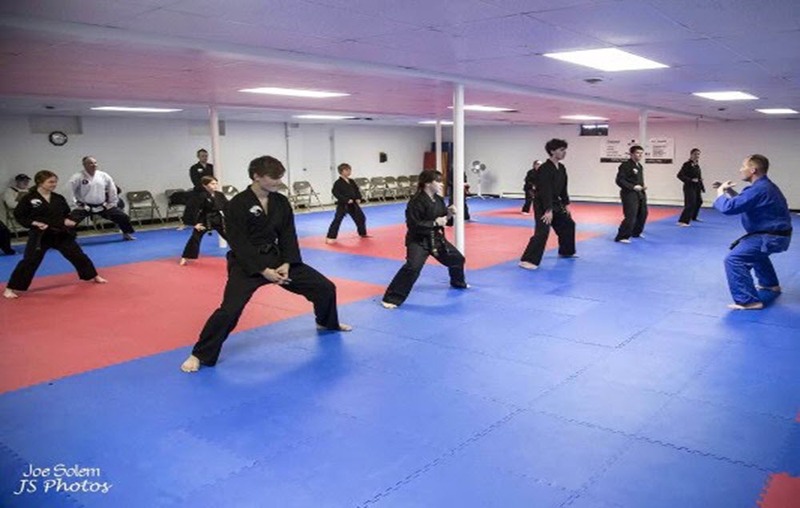 The school's Black Belt Youth Group is open to all Youth Black Belts. 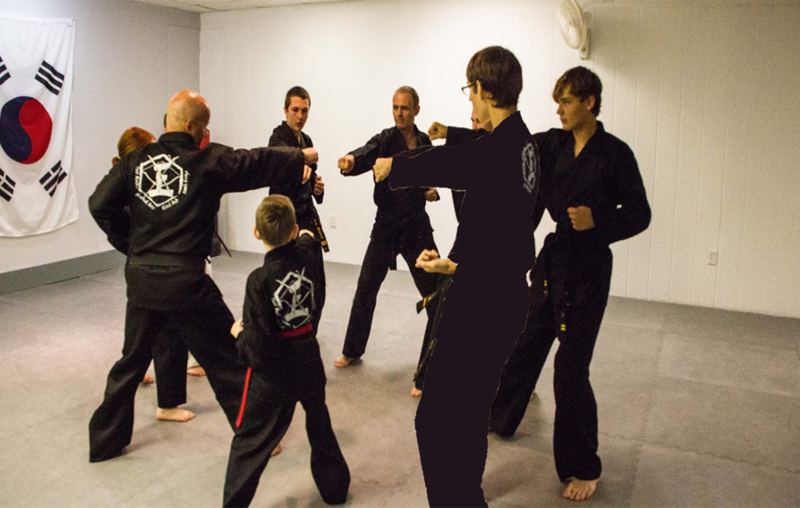 Classes usually meet on the 2nd Saturday* of each month from 1pm to 2.30 pm at the Hub. Social time is scheduled after the class. 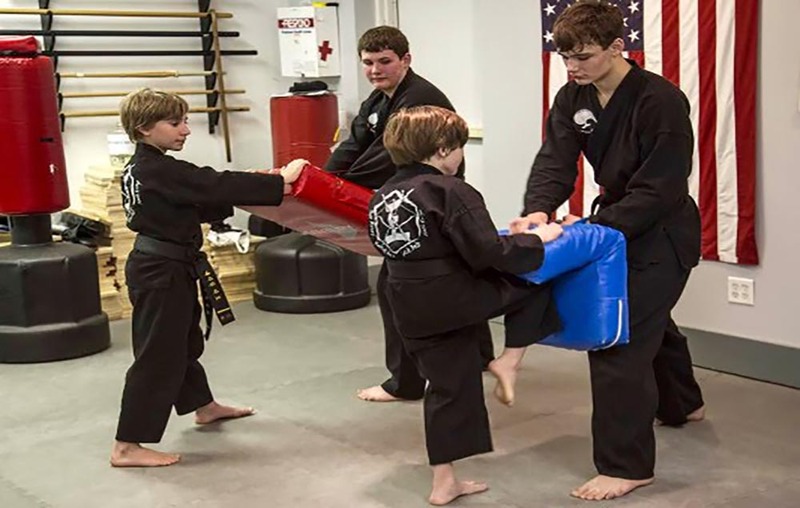 The Black Belt Youth Group was created by two of its own young members, Mr. Daniel Hornback and Mr. Riley Hammar who presented this idea to the school's Board of Directors in the spring of 2013 to develop new experiences and challenges for the school's young Black Belts. 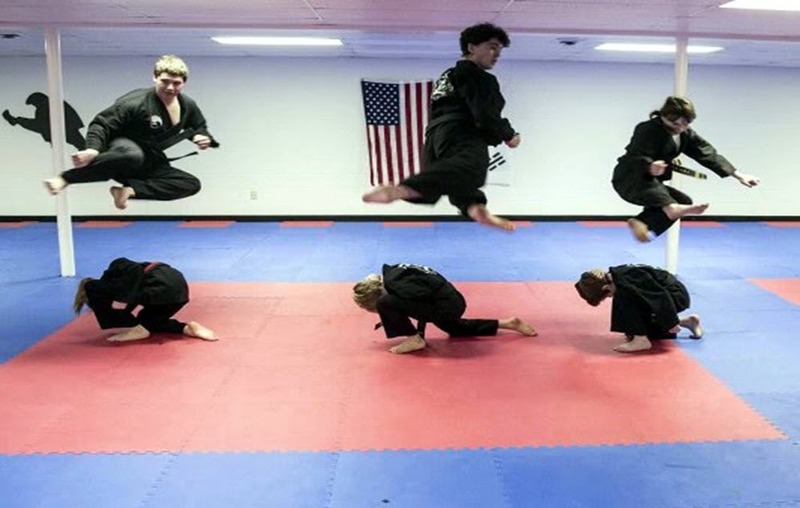 To date the group has been introduced to a variety of different self-defense and fighting styles like; aikido, judo, hopkido and the Des Moines police academy's self-defense curriculum. 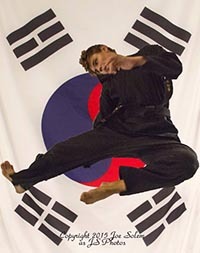 They also work on advanced Taekwondo techniques as they are of course Taekwondo Black Belts. 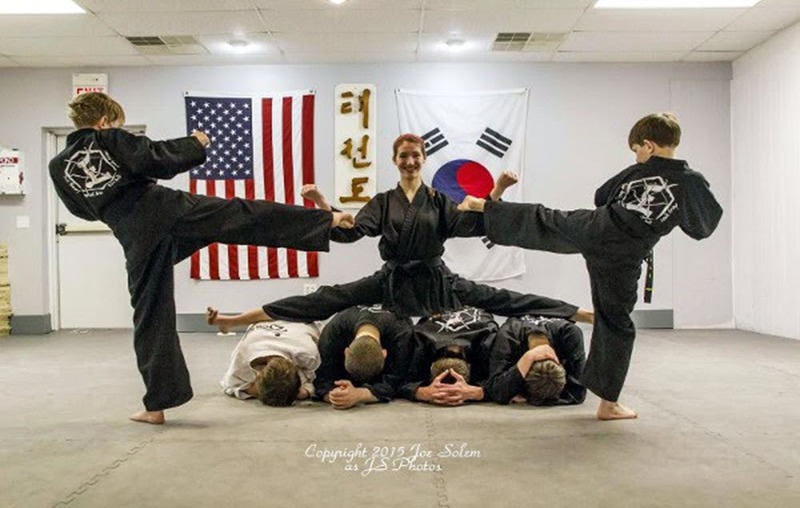 When speaking with one of the founders of the group he sums it all up as; "No class is the same as another and guest instructors are awesome, we are all young and excited to see what the world has to offer!" 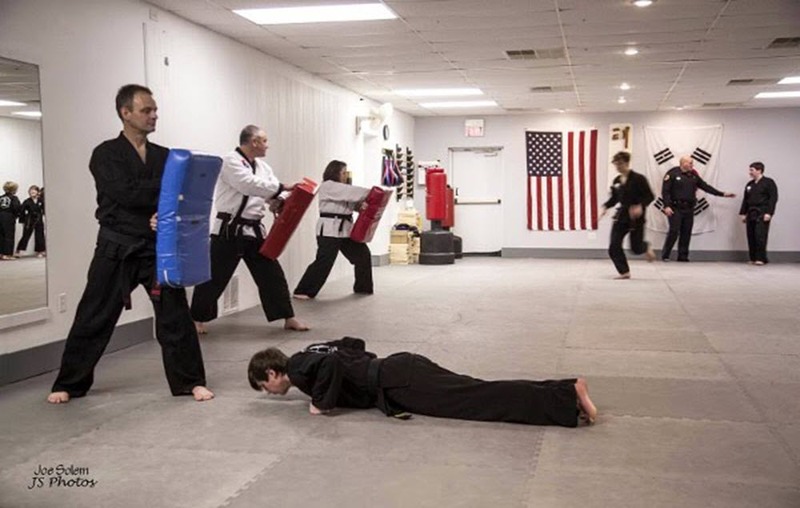 Check out the article published in Tae Kwondo Times magazine. 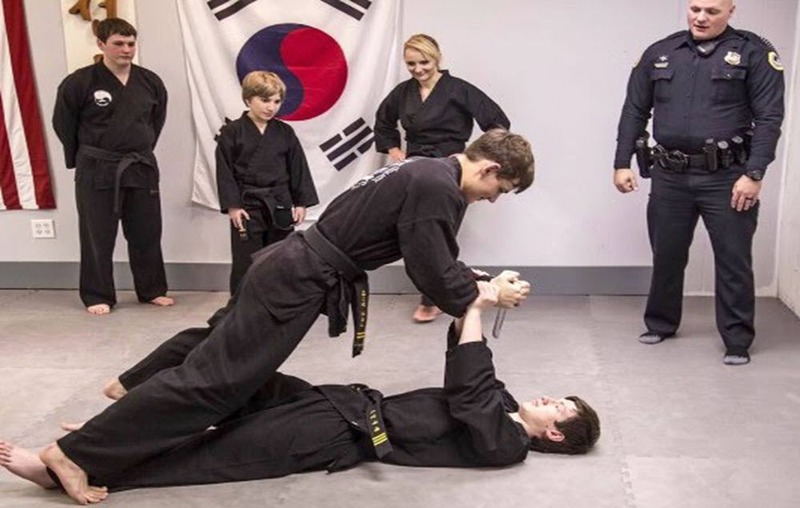 This is an invaluable opportunity for the Young Black Belts to interact with other Young Black Belts within our school and to have the opportunity to train with our senior instructors. 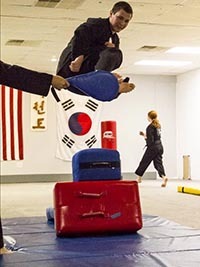 *Scheduling of the monthly meeting is sometimes changed to accomodate tournaments or other events. 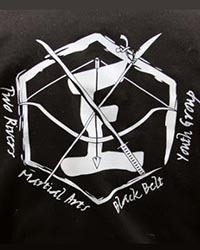 Please watch for the monthly announcements regarding meeting date and guest instructor.